Wow, another year is almost over! I wanted to say a big thank you to all of you how have taken your valuable time to read my blog this past year. Before I jump into new posts for the New Year, I wanted to wrap up this year with a list of the 10 most popular posts over this last year. 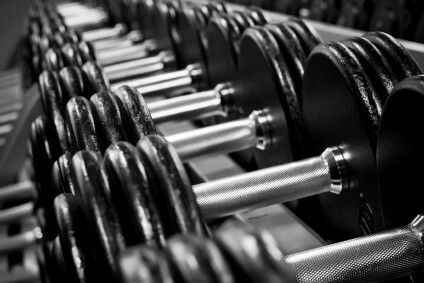 If you train at a public gym, you are no doubt dreading the January rush. All of a sudden your gym is overtaken with folks trying to work off the Christmas cheer. This can make it very challenging for you to navigate the crowds and still get a fantastic training session. This post will give you some effective strategies to train in crowded gym as well as a complete sample training program based on these strategies. Few people who start on the quest to lose fat are successful. Are you making any of these mistakes? 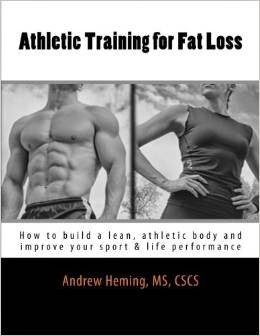 This post gives you 8 things to watch for that could be thwarting your efforts to lose fat. Should you deadlift with a straight bar or a trap bar? Both styles offer unique advantages and this post will give you the scoop on each deadlift so you can pick the best one for you! I’m sick and tired of all the lies that the diet industry spins trying to trick you into buying their “secret” products and services. It is time people hear the real truth about what it really takes to get and stay lean. I love farmer’s walks and think they are one of the best exercises you can do. However, I realize that not everyone can do farmer’s walks due to lack of proper equipment or space. If you can’t do farmer’s walks but still want some of the benefits, check out post. Here are 10 ways to help you make your training even more effective. Disclaimer: my definition of “fun” may be a little different than most folks. Many folks these days are busy and tired. To them, caffeine is their secret weapon. However caffeine can work against you. IF you are busy and tired, you want LESS, not more caffeine and this post will explain why. It will also give you my personal, battle-tested plan to have high levels of energy to deal with the demands of working multiple jobs and having 4 small children. Your results are not determined just from how hard you train, but how well you recover. This post will show you simple, effective ways to switch your body from the fight or flight mode of training to your rest and recover state. Recover better and faster and enjoy better results! I’m a huge fan of healthy eating and I go out of my way to add really healthy foods into my diet. However some people get over excited about trendy super foods and run into these 5 traps – don’t be one of these folks! While partial squats are a waste of time, full squats with a tail tuck are a recipe for a low back injury. Here is your guide to squatting deep without the tail tuck.